Oh my angsty lovin heart and stars!! 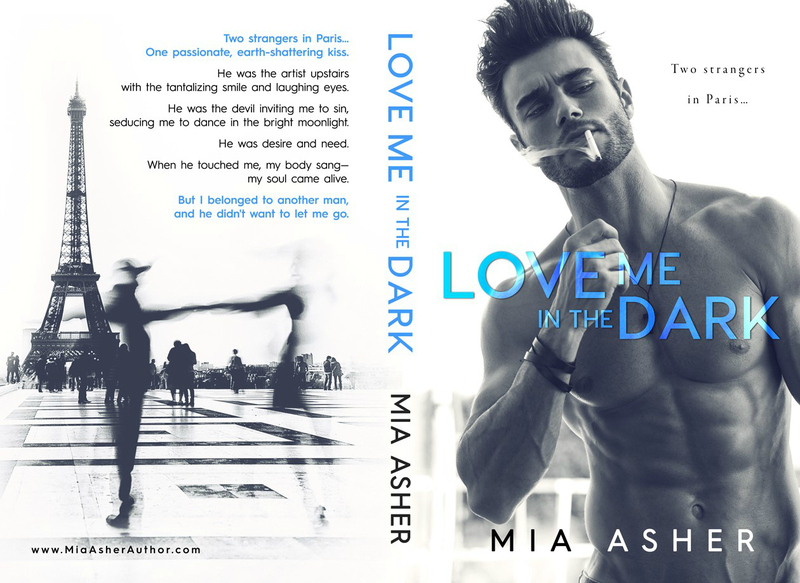 Love Me in the Dark by Mia Asher is a brilliant beautifully written book! With Mia’s books I know I am going to get all the feels in between the cover and this one was no different. I swooned, I swayed and I fell in deep in LOVE with all things Sebastien! We were given a little slice of forbidden with this one and a whole HEAP of romance! I hope you are ready to be swept away on a flight bound for Paris when you pick up this book. 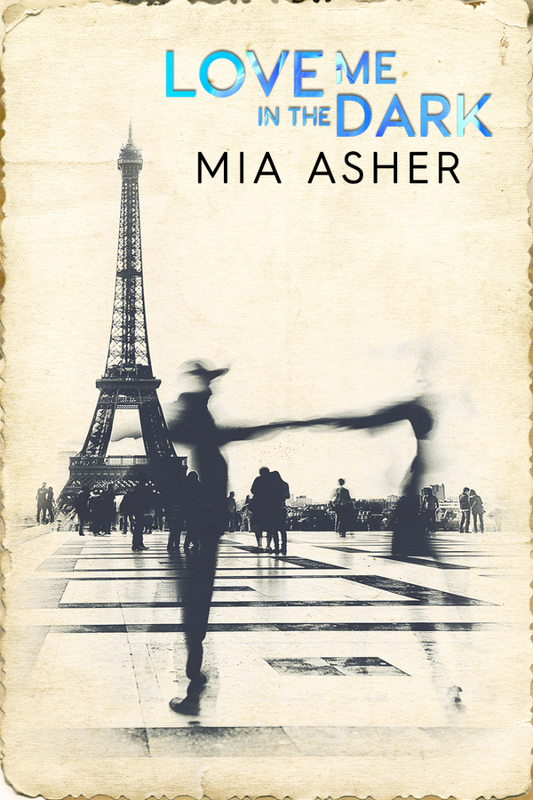 I inhaled this latest masterpiece from Mia Asher and loved every single moment of the high! You think you know which way this story is heading but be prepared because it’s going to be a long trip with unexpected stops! Valentina has been nothing but a devoted wife to her husband for over a decade. She puts everyone before herself, William included. With all relationships they have had their high’s and lows but one soul crushing blow has sent in tumbling down the path of destruction as she can’t simply forget what happened. William “wants” to make things better, he plans a business trip to Paris and wants her to go along. Except she ends up there alone and it seems like he has no problem letting her stay there, because she will come back, she always comes back. That’s what his Valentina will do. Sebastien is a successful artist in Paris. He has his own demons and is perfectly happy having a revolving door of women that help him forget the pain of his past if even only temporarily. He is sweet, dreamy and utterly gorgeous. He happens to be the artist featured at a show that Valentina snuck in on and when she’s about to be kicked out he comes to her rescue as her boyfriend and saves the night. But just one touch, one look and these two have an undeniable attraction that can’t be ignored. From there we watch something beautiful unfold. A friendship, a whirlwind in the most romantic city in the world and a past that has to be dealt with by Sebastien and a present that has to be either repaired or closed by Val. It was so lovely watching Valentina finally find her true self In Paris and be who she wanted to be, not who she was expected to be. But what happens when the fairytale is over? Does the saying hold true of two souls who were meant to be just find each other at the wrong place and time? Doors have to be closed before you can fully open another, but will Val close that door or will she go back to her life she’s been living? There is so much MORE to this story and you’ll have read to find out, so many unexpected twists that I surely didn’t see coming and I guarantee neither will you, but they are EPIC turns! I can’t wait to see what this author gives us next! Bravo! 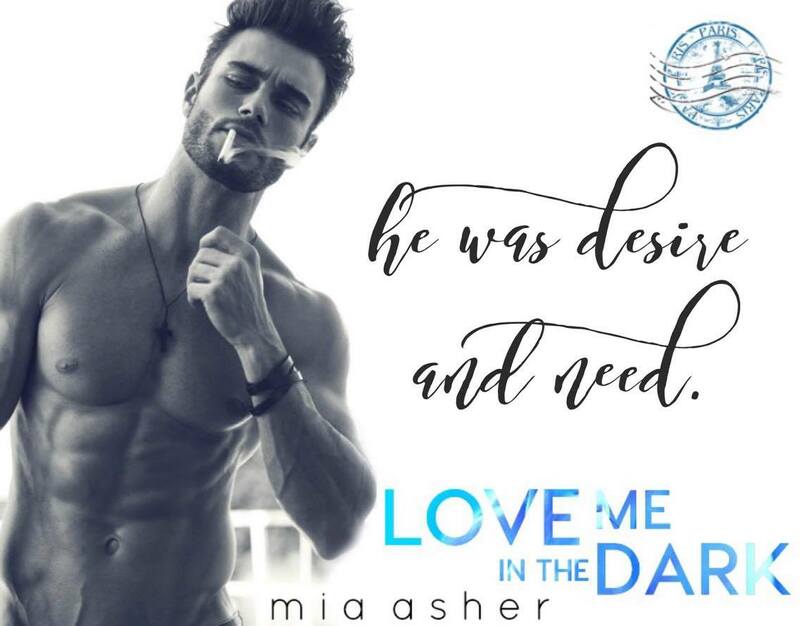 This entry was posted in Blog Tours/Promos, New Releases, Reviews and tagged Love Me in the Dark, Mia asher, New Release, Review, Sebastien, Val, Valentina, william by Book Lovers Obsession. Bookmark the permalink.